Akouvi is missing from the photo. I began sponsoring her when she was 9 years old. And less than a year later, she passed away from complications related to malaria and kidney disease. To say losing a child you sponsor is devastating is an understatement. Whether that student graduates or passes away, whether her center closes or her family moves away, it can feel almost physically painful to sever that tie. But as I grieved for Akouvi and her family, I found grace in knowing I spoke as much love into that little girl’s life as I could for the nine months I had the privilege to be her sponsor. When she sent me a letter with a drawing of flowers, I didn’t know it would be the last one. And when I wrote and told her about the snow in Colorado, I also didn’t know that it would be my final words to her. When I sent that final letter to her family, I was able to tell them what an honor it was to be Akouvi’s sponsor. That I grieved along with them. That someone in faraway Colorado loved that little girl. Months after Akouvi’s death, her family sent me that photo I have on my desk. I see it every day I’m in the office. And it inspires me. To speak words of truth and life and love into the lives of each child I sponsor. I may do it imperfectly. I may not do it as often as I like. But as long as I keep signing those letters “I love you,” I know they’re making a difference. And if you sponsor a child who still sends you drawings and tells you about his favorite food, will you take a moment to write him today? To tell him “I love you”? I promise, you won’t regret it. 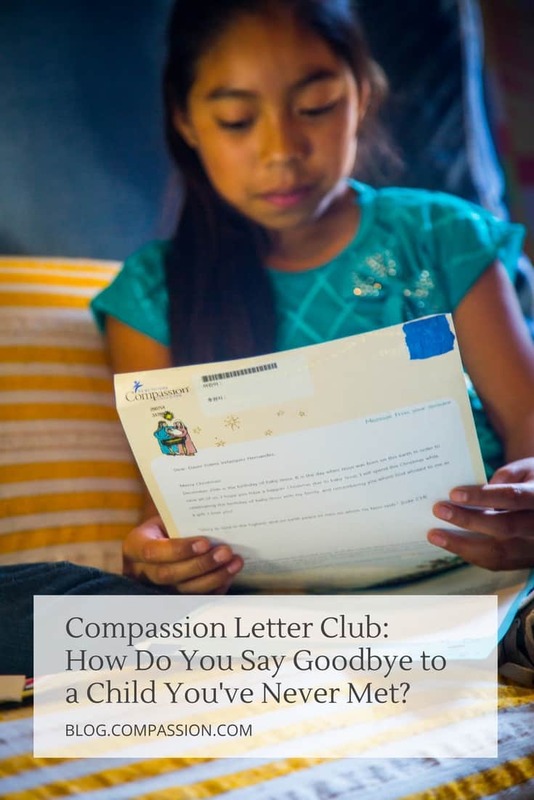 For those of you who’ve written that final letter to a child who has left Compassion’s program, what did you say? What advice do you have for other sponsors? Leave a comment and let us know! *Please note, if you sponsored a student in India, we will do whatever we can to get your final letter to him or her. We will send stationery to all India sponsors to use for that final letter, and do our best to ensure that they are delivered through our India partners. I am really glad to have found this forum. I learned just two weeks ago that the Compassion center where my child has been attending has recently closed down. I have been sponsoring this little girl for nearly 11 years. She will be 15 years old this year. I have sat down numerous times, trying to find the right words that convey what is in my heart. I feel such a huge loss, as I was anticipating sponsoring her until she graduated from the program. I will miss hearing from her, receiving her letters and her drawings. It is comforting to know that others have gone through this same thing, felt such a huge loss, and had to spend time grieving, that it is normal to grieve. Although I will be sending one last letter, I know I won’t be hearing from her again, and this breaks my heart. My sweet, and wonderful and wise husband likened it to having one of my own biological children be involved in an accident, and go into a coma…and that we can’t ever really say good-bye. My heart is breaking. I have kept her letters in a binder and her photo in a prominent place in our home. Reading these letters from others have helped me with just how I will write my letter to Jennifer. I am comforted knowing that God is in control. None of this took Him by surprise, and I must trust Him that He will always watch over her, and keep her close to Him. I also find comfort in knowing that one day she and I will meet in Heaven and will know each other there! Claudia, it breaks my heart to hear that you have had to say goodbye to your precious girl who you have blessed for 11 years. We cannot express how incredibly grateful we are for sponsors like you who have poured your love into a sweet child’s life across the world. Even though you are no longer able to be her sponsor, please know that your love and support have made a huge impact in her life that she will not forget. Also, please know that if she were ever able to be re-enrolled in the Compassion program, you would be the first to know and we offered the opportunity to sponsor her again. Thank you so much for the immense love you have for your girl! God bless you! I sponsored a little girl named Rebeca in El Salvador, starting when she was 4 or 5, she will be 8 in a couple of weeks. When I first started writing to her, she was living with both parents and an older brother. Then it was just her mom, I never did find out what happened with her father and brother (I didn’t want to ask a 7 year old about that!) Then this March, I got a letter saying Rebeca had moved out of the country, to an area not covered by Compassion. I was told by a Compassion representative that many times people move due to a chance for a better financial situation, but I can’t help feeling a little guilty. 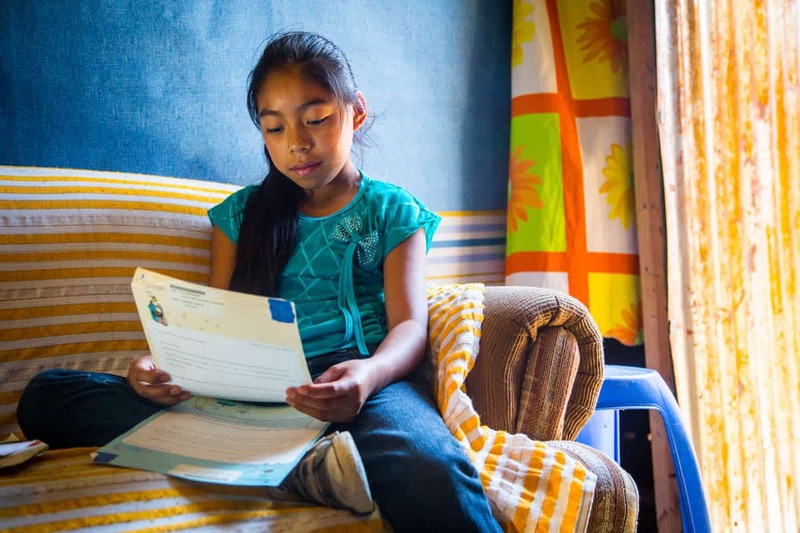 I know we are supposed to be assisting the family, not supporting them, but I can’t help thinking that if I had started sending more money after her father and brother left, maybe Rebeca and her mother could have afforded to stay where they are. I know that people move and circumstances change, but this was so sudden that it was very hard to deal with. It’s difficult to think you will know this child for years and be able to watch them grow up, and then all of a sudden not know how she is, or even where she is. I still have a hard time with the fact that I will not get to know how things will work out for her in her life. She was so unique, she was funny, had a big heart and could draw very well, I will always save her letters and pictures. Also, it must be so hard for Rebeca to leave the home she has probably known all her life and her friends and go to a totally new country at such a young age. I hope she is going to church and that she doesn’t forget about Jesus and start going down the wrong road. 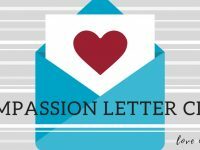 I am going to write a final letter (even though I don’t think Compassion has a new address for her) and send it to Compassion just in case she ever gets in touch with them or moves back to an area that has the program. And I am going to let Rebeca and Compassion know that if she ever does move back to an area they work in, PLEASE contact me because I would love to be her sponsor again! I didn’t think I would want to be a sponsor again, in case this happened again, but I missed it, so I have just signed up today to sponsor a new little girl in the Philippines, but I pray for Rebeca all the time and will always have a special place in my heart for her, I hope to hear from her again someday. Karen, I am deeply sorry that you are no longer able to be Rebeca’s sponsor :(. Your love for her is so evident! We are incredibly grateful for your heart for her! Please know that your sponsorship made a difference her life, and even though she is no longer in the program, the love you have shown will continue to have a great impact. Please rest assured that Rebeca’s leaving the program and moving to another area was definitely not your fault; please do not feel guilty. If Rebeca is ever re-registered into the Compassion program, you will have first priority and be notified first :). Sadly, it’s true that we cannot guarantee that your final letter will reach Rebeca, but our wonderful field staff will do their best. I still find it very therapeutic to write final letters. I understand how hard it is to say goodbye, especially when you were planning on a fostering a long, meaningful relationship with your kiddo. Thank you for the investment you made in Rebeca’s life. We are so thankful that you have chosen to continue blessing another child with your love and support. It is a blessing to have you as part of Compassion’s ministry to children around the world as we partner to release children from poverty in Jesus’ name. I too, have lost two boys whose families moved out of the area where compassion had a program. I never knew what happened to either. My 2nd sponsored child shared with me in letters that he had become a christian & asked me in each letter to pray for his female cousin who was ill and he wanted her to trust Jesus. How special that was to me. I still remember him & his family in prayer & someday believe we will meet in heaven. I was blessed to watch his growth in the pictures I was sent. He was 16 when he was no longer able to be in the program, but I am assured he gained from it as I did also. I also lost a lovely young girl. H r. Amen was Carolin. She left the Compassion program and I never really knew what happened to her. Compassion sent me a letter stating that I should choose another child to sponsor. I was deeply hurt that they thought I would just forget her and get involved with another child. The letter did state that I could call their office and find out more information on my “missing” child. The office said that she had been sent to her aunt’s house. She had written an earlier letter to me that she”was having problems with her uncle” and that she had been talking to the teachers at school about it. Well now, to,think I had just been told that she was moved to her aunt’s was so frightening for her, wondering if she’s ok , but I will never know. I pray that someday she will call me or write me and tell me she is ok. It really hurts when your child tells you in her letters to you that she will “always love you”. I will never forget her and keep her picture by my bed. I would give anything to find out if she is ok and happy and safe!!! As it turned out..after 3 months and Imstill had a chosen child…along a picture of Genesis, a very sweet little girl of about 4 years old. I do love her too but she has never taken the place of Carolin. I always pray that Carolin is in God’s care…wherever she is! I am so sorry to hear about your loss of Carolin! We know how hard it can be to lose a child when we become so close to them, and feel like they are our own. Furthermore, I am sorry to hear that you feel that she may not have been happy with her move to her aunt’s home. I will also be praying for her that she is happy and in a safe place at her aunts home. I know that she is under Gods protection and that he will provide and shelter her. In addition, we are so thankful to hear that you have chosen to sponsor Genesis! We know that she will never take the place of Carolin, but we are thankful that she has the blessing of your hand in her life now, as well. Neither write or speak Spanish. She was useless with this concern. She constantly suggested that I have someone who speaks Spanish to translate it for me ? Seriously ? I have sponsored my child since 2004. He was 5 and will turn 18 in September and I never had this problem. 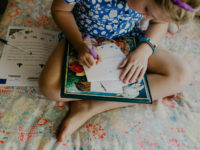 I do not need any suggestion on how to write a letter to my kid (Limberth Oretea-B0036900008) but I tried to inform this same lady that I am discontinuing sponsoring my kid at the end of this year. She suggested I call back and let them know in December. I am letting someone know today. Going all digital is frustrated for aged sponsors and could hurts your organization. Tony, I am very sorry you received such advice when you called. I also want to sincerely apologize that your letter was not translated in the first place. We will coach the representative you spoke with regarding phone calls like this. I have sent the letter you received back to our office in Bolivia and asked that it is translated for you. This is what the representative you spoke with should have done for you and I sincerely apologize that this did not happen when you called. We will send you the letter translation as soon as it is available. In addition, thank you for taking the time to share your feedback regarding our recent move to digital. I am passing your feedback along within our organization. Lastly, please let us know if there is any way that we can earn back your trust or if you are wanting to make any changes on your account at this time. I sponsored a girl in India for 5 years. I was 17 when I started sponsoring her, and she was about 11. Now that the program has ended I’m nearly 22 and she’s nearly 16. We had a real connection. I was at an event the other day and there was a Compassion stand set up, and I almost cried when I saw it, just picturing my darling girl. I definitely cried as I wrote her goodbye letter. I told her that I would still be praying for her and her family. I told her that I would pray that her country would see that Compassion does good work. I told her that I will miss her deeply. That I am devastated that the sponsorship is ending. I said that I am so proud of her, that I love her. I told her it is very important that she never forgets – I will never stop loving her, and Jesus will never stop loving her. Last summer I learned that my sponsored child had “stopped attending the program” and so the sponsorship was terminated. I was really sad, I had been sponsoring him for 1 year and 7 months and I never got a full explanation of WHY he had left. He was only 7 years old and was one of eight children! I was glad that I got the chance to write him one last letter, I told him how much I loved being his sponsor, how much I loved writing to him and reading his letters, I told him that I would continue praying for him and his future, I reminded him that God loved him and I shared Numbers 6:24-26. I think of him on his birthday and I still pray for him. Five months ago I started sponsoring another “kid” (she’s 18) and I hope my sponsorship blesses her and that the center will show her the love of Jesus. Last night I penned my final letter to my sponsored child in India. He will be twelve this Thursday. I just realized since I wrote it on the stationary Compassion sent I forgot to make a copy of it to put with our correspondences. I wish I had kept a copy of it. 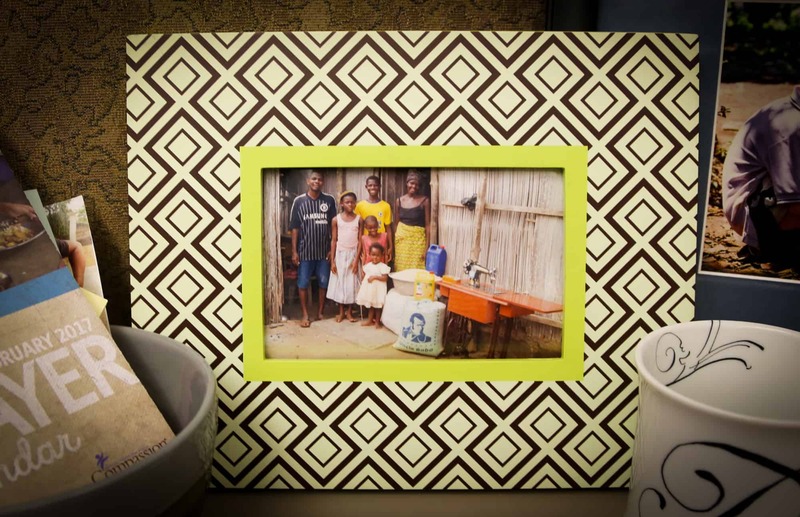 It’s very hard to write a goodbye letter to your sponsored child under these circumstances. You pour out all the love you can muster into that last letter. You try so hard to give them an explanation of how God could allow this to happen to them. You come to the realization you could have done more for your child and there family. But it is to late now. This is the time to not only ask God to strengthen your faith but to strengthen your ability to accept what is happening,to accept the Lords will. To trust He has it all under control, because I sure don’t. To trust the seeds of faith have been planted in your child and our dear Lord will nurture and water them. To come to the realization that whenever man attempts to squash the Good News just the opposite happens. It spreads like a west Texas wildfire. I am going to miss the pictures and the totally upbeat outlook he has on life. He always smiled and had the look of someone so grateful for the crumbs I would give him off my table. I am thankful for the time I had as his sponsor, I just wish I had done more. My first Compassion child was from India and the family moved out of a compassion area. It was very hard but I chose to sponsor another child in India and had the joy of being her sponsor from age 9 until 19 when she graduated from the Compassion program. It was so hard to say goodbye but I was so happy for her! Now I am losing my 3rd child from India after only getting to be her sponsor for just 3 years and I am heartbroken! There are so many things I want to tell her and I will miss her so much. I will sponsor another child in her honor and continue to pray and hope that maybe one day I will hear that she is happy and well. I have a sponsored child there and am heartbroken. I was wondering if you can tell me why we cant sponsor and help them any longer? can you let me know? Hi Barbie. I know this is a very sad situation and we are all completely heartbroken. it is a very complicated situation. At a very basic level, we faced funding constraints involving a freeze on our bank accounts, preventing us from transferring new funds into the country. Compassion is one of many non-profits facing with these obstacles. In fact, India placed constraints on over 20,000 NGOs whose primary funding was supplied from out of the country. Additionally, we believe the government misunderstands Compassion’s model, assuming our sole intent is converting children to Christianity, when in fact, our primary goal is to rescue children from poverty. However, we are positive that God will provide for these children, and he has this worked into his plan! We can rest in knowing that! I had to say goodbye to my sponsored child from Rwanda. I sponsored him when he was older (19 years old). I did get the chance to say good bye as I did sent several letters to him prior to his last month with Compassion. On my last letter, I made a card for him with my picture and all the things I wished for him. I definitely encouraged him to do well to further his studies or to look for work (he was 22). I told him that when I return to Rwanda, I will try to look him up and hopefully meet him face to face. I sent my final gift and was confirmed that he received my gift. Hi,am visakh.Am not a sponsor.but I was a child sponsored by someone when no one helps me to do my studies.Compassion care my childhood,career.Becoz of them I find my ambition.Am from a Hindu religion but I was with compassion frm my 2nd standard onwords.they teach me how to show care towards others who leaves in our society not to believe their God.they gave me New books New dresses for each occasion to make sure we r equal to other students not to teach us to believe in Christ.They show care like as our parents.When we get good marks on school more than my parents they use to get happy without getting anything.People from outside who looks all of these will think so many things.becoz nothing of these no one can do it.I am with my compassion and my whole batch of 2007 will be there with compassion. 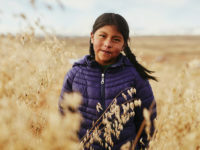 What had prompted me to sponsor a child through Compassion was my bitter memory of the VBS at rough neighborhoods of Tacoma, WA, in summer of 1994. There was a sweet 10 year-old girl named Brandy whom I later came to learn that she was raised by her single Mom who really cared less about her more than she cared about all the men who show up in her life as prospective “husbands”. I also found out that this girl was abused physically, mentally and sexually but somehow, she managed to maintain her sense of humor and hunger for true love and affection from each man who showed up in their lives. She also clang to me as if I were her Daddy and I did everything I could to make her feel that she was loved and important the whole time she was with us at the church. That summer, she welcomed the Lord Jesus into her life and I was so thrilled and gave her a big bear hug urging her to stay true to God. I also gave her the Bible as a farewell gift at the close of the VBS. Three months later, I visited the neighborhood again to see how she was but to my great disappointment, I was told that she and her family were evicted from the house they rented. That same year, I began sponsoring a little girl from Colombia. To this day, I still weep and mourn for Brandy and all I can do for her now is simply pray and wish that she is well and still walks with the Lord. Jesus Christ knew death of people and children, very well. God understands what we feel and go through, with a death of a loved one, yet some who died, Jesus Christ brought back to life. The only comfort for the people who experience death of a loved one, is to know that Jesus Christ defeated death, hell and the grave. He took the Keys of Eternal death, from Satan and set the captives free from the prisons of hell! And in fulfillment of the prophecies about Jesus Christ of Nazareth, He rose on the 3Rd day! I say the heavenly blessing to you, Ruacha, Yeshu, Shalom! My first child graduated out of Compassions program. My child and I were very close and it was very painful. I wrote goodbye, that I loved him, that I would continue to pray for him the rest of my life. I spoke blessings over his future and my hopes for him. That was my goodbye for many years. He found me through Facebook just last year. We both cried and have written once again! He was so surprised that there was a new child in my family. How big my oldest looked 7 years later. Sometimes online translators do not work well and we miss what the other is saying but the love is still loud. This was a blessing I did not expect. I pray for wisdom even still to speak into his life now that he is an adult. I lost another sponsor child when his parents pulled him out of Compassion. I was never able to say goodbye and my heart hurts when I look at his picture. These are children of my heart and they are as much a part of me as my own. I grieved his loss. God has placed another “son” into my life since then and I will pour into his life as much as I can until he graduates.